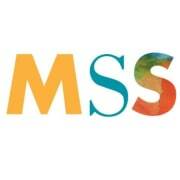 MSS is a program that offers services and supports to adults with disabilities. We have an active beekeeping program onsite at our St Paul location that is fully accessible and are seeking 1-2 volunteers to assist our program participants in caring for the bees and hives. Volunteers are needed every other week May-Sept. Any day of the week M-F, for 1-2 hours, anytime between 10:30-1pm. Preference given to volunteers with beekeeping experience, but willing to provide training. Volunteers should be engaging and comfortable working with adults with disabilities. Must be able to pass a background check.